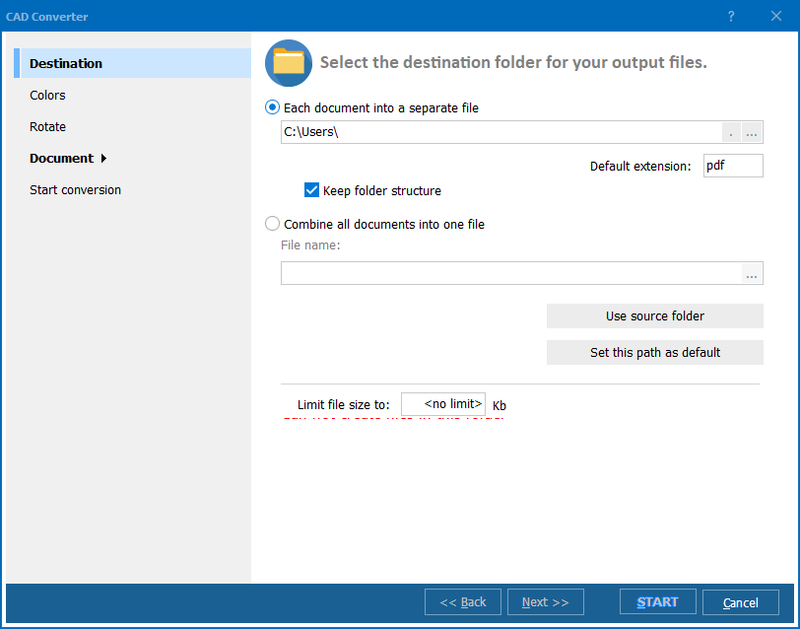 Convert DWF to DXF for less time! 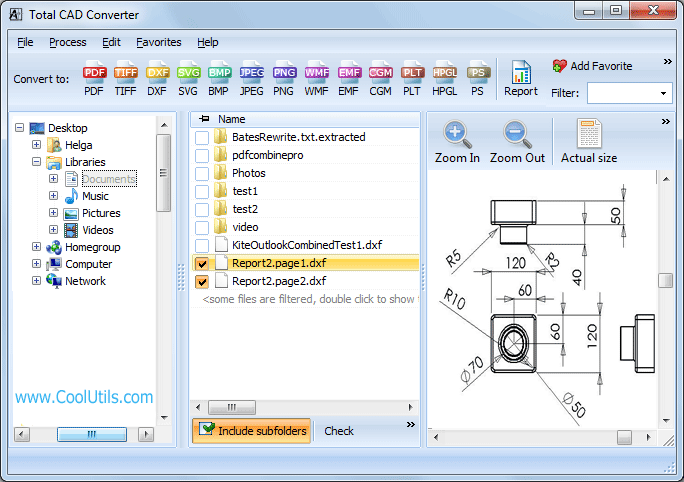 You are here: CoolUtils > Total CAD Converter > Convert DWF to DXF for less time! Designed by Autodesk to share rich CAD-generated design data, DWF is a highly compressed format with limited uses. There are times when, as a designer, you need to change your DWF files to a more accessible format; like DXF. That's where we can help! Our intuitive DWF to DXF converter lets you switch from one format to the other in the blink of an eye. No more struggling with trying to open files that just won't open. Instead, switch them to any format you need. Featuring support for direct command line access, our batch DWF to DXF converter lets you work with every size job; efficiently; behind the scenes. For beginners, we've included a user-friendly interface that can guide you through the process and help you get the most out of your conversion projects. On top of that when you convert DWF to DXF in batch using the Total CAD Converter, you'll have access to lots of cool options. Rotate images to change perspective. Resize images to fit your needs. 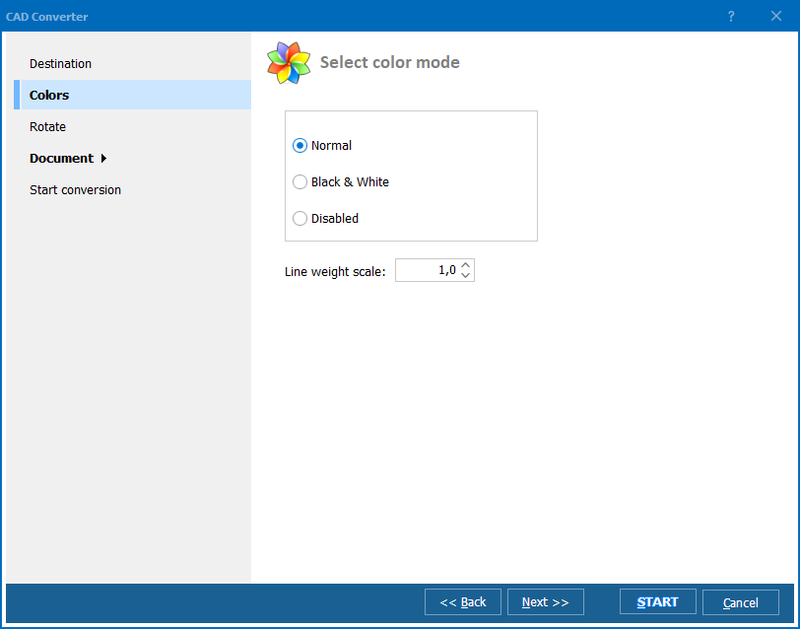 Specify which color mode to use. And so much more! When we say your target files will be even better than the originals, we're not joking! To get a better idea of what we're talking about here, download our free 30 day trial version. If you decide to upgrade, for just $99.90 you’ll receive a lifetime user license, and all upgrades are free during the first year. 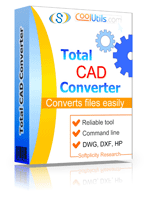 With over 14 years experience developing super useful conversion tools, we're sure that once you try the Total CAD Converter you'll see what we mean. With support for more than a dozen languages, it doesn't matter whether you're in North America, Europe or Asia - we offer something for everyone.